Language Reach is an award winning London translation agency and one of the leading providers of professional French translations in the United Kingdom. With many years’ experience in the translation industry, we manage a network of highly qualified, skilled and experienced native French translators who only translate within their specialist sector, whether it’s the marketing, medical, legal or financial field. Having the experience working with a variety of clients, from local SME’s to large multinational corporations, we understand just how important a tailored and individual approach to each and every project is. Consequently, each of our clients are always provided with a dedicated project manager, who will work closely with you in order to meet all of your translation requirements and swiftly answer any questions that you might have. Why choose us for your French translation? We are a leading agency with a worldwide network of professional French linguists. Our services help businesses entering the French market and French speaking companies entering the UK. We offer some of the quickest turnaround times for translation projects without compromising the quality of the translation. Our approach is tailored to each and every client, this flexible approach has been a huge contributor to our client retention, both in France and the UK. We assign a dedicated project manager to each project, and use native French linguists to make sure the translation sounds and reads natural, and serves it’s intended purpose. As previously mentioned, each of our translators are not only native French speakers, but also experts within their given business field. This ensures that every translation we deliver back to you is of highest possible standard and fit for purpose. By doing this, we are able to precisely translate material for any sector, including specific lingo and jargon which otherwise might have been misunderstood by a linguist with no specific expertise. We understand that handling a translation project can be both stressful and time consuming. In today’s fast paced world every minute counts, and therefore we do our best in order to simplify the process and make sure that while we handle your documents, you can relax. 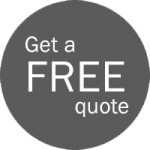 Our account management team, aim to send a quote within 30 minutes of each enquiry. Our translation process depends on the demand of the translation; however, all will be communicated up front prior to starting a project. Our project teams consist of professional French translators, proof readers, DTP teams, project managers and editors. If you would like to find more information on our French translation process, please do get in touch. Price is a sensitive matter. Keeping accuracy and quality high and price low at the same time can be a challenge, nevertheless, we managed to do just that. Our translation process allows us to offer very competitive prices without compromising the quality of our French translation services. For larger business projects, we may also be able to offer discounts, so get in touch with us today and let us know your specific requirements regarding our professional French translations! We understand that the French language can vary, depending on the region of the world you want to address. For example, French spoken in Canada is different to the one spoken in Lebanon. This is a very important aspect and something we pay a very close attention to as local dialects and slight language differences can make a huge difference to the meaning of your translation. As a result, our process guarantees that a native French translator from a particular region of the world will handle each of your translations and ensure that it is not only translated word-for-word, but also localized so that your target audience feels that you’re speaking their language downright. Need professional French translations? You’re in the right place. Get in touch with us today by emailing us directly at info@languagereach.com or giving us a call on 020 8677 3775. Alternatively, you can simply fill out one of the contact forms available on our website and a member of our translation team will be in touch with you in the next 30 minutes!